Professor Nadera Shalhoub-Kevorkian, the director of the GSP, opened the panel with a lecture connecting the historical experiences of women living under the Zionist legal system imposed during the Nakba to the present-day hardships faced by Palestinian women in the West Bank. 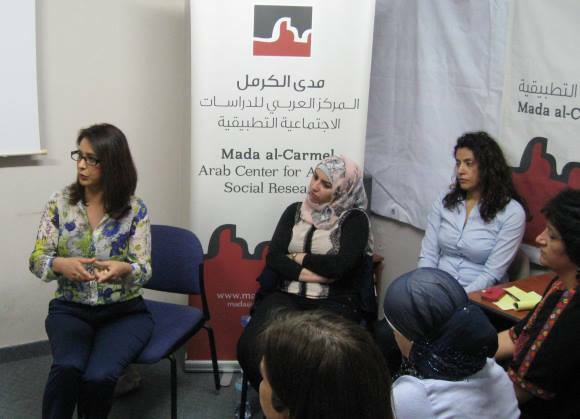 Mrs. Aida Issawi, the director of the Jerusalem office of the Women’s Studies Centre, discussed the hardships faced by Palestinian women living in Jerusalem as a result of violence from both soldiers and settlers. Dr. Suhad Daher-Nashef, the co-ordinator of the GSP, spoke about access to justice for Palestinian women living within Israel’s 1948 borders, presenting the procedure and key findings of a research study conducted by the GSP’s Women’s Access to Justice Project. 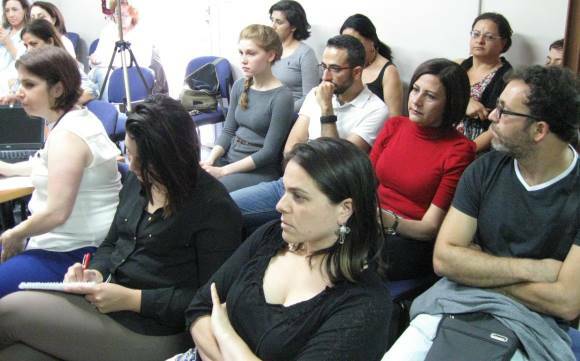 Following these presentations, Sawsan Zaher, a lawyer from Adalah, remarked on the importance of maintaining a holistic point of view for understanding women’s status in the justice system. To view a summary of this event (available in Arabic), click here.